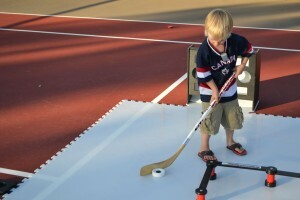 The X-Tiles Flooring System Allows you to Build a State of the Art Hockey Training Center, One Piece at a Time! I was recently introduced to a new hockey dryland tile that I’m really excited about. It’s called the X-Tile, and it’s made by XHockeyProducts (yes, the same company that brought you the X-Passer, and the X-Deviator). 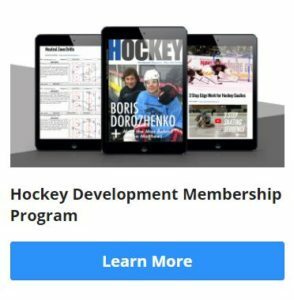 If you’re familiar with XHockeyProducts, you already know they are famous for designing heavy duty, smart, & functional hockey training equipment… and this product is no different! 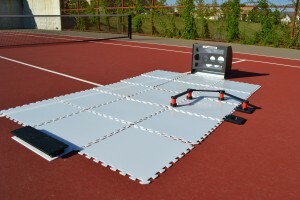 The X-Tiles are not only an awesome flooring product to give you a slick surface for stickhandling, shooting, and passing, but they’re also a fully integrated, hockey training system that works in tandem with many other products! In this review I’ll be showing you how the X-Tiles work, and sharing my experiences with them. My first impression of the X-Tiles was that they are actually a really good weight. You don’t want a product like this to be too flimsy, but at the same time, you don’t want it to be too hard to move around. 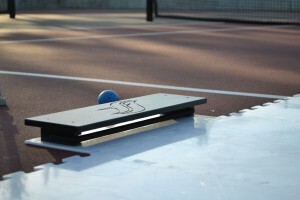 The X-Tiles are a durable, manageable weight. The next thing you’ll notice about the X-Tiles is that they’re huge (2 feet by 2 feet!). I always say “the bigger, the better” when it comes to flooring tiles because you want to have the fewest seems possible. The X-Tiles are REALLY easy to put together AND take a part. This is a big feature in my opinion because it allows for a degree of portability, and gives you the option to change configurations if you want (a feature I have made use of a few times myself). 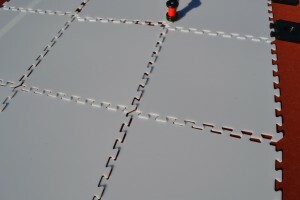 The easiest way to put together your X-Tile set-up is to lay it out first to get an idea of where everything is going to sit, then tap it all together with a rubber mallet. In the video above, I put together a 15 tile set-up in about 11 minutes. As you can see in the video, using the X-Tiles System is A LOT of fun! 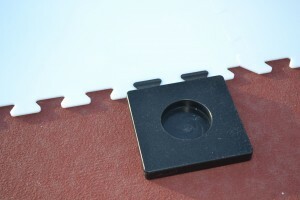 The tiles are very slick, the seams are very flat, and the pucks slide well on them. The add-ons work really well, and are fully integrated with the tile system. I like the fact that you can easily change configurations or add to your X-Tiles system over time. The X-Tiles are also pretty “kid proof.” I’ve had my boys using these things every day, and they’ve held up just fine. My kids love it! This is definitely a product I stand behind. 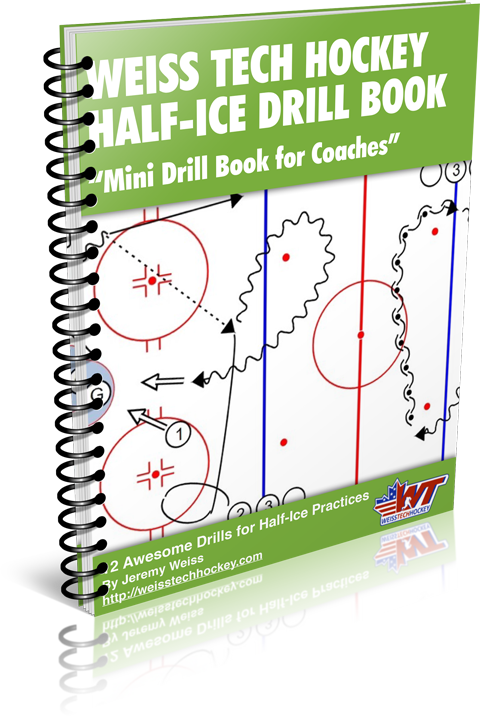 If you’ve got it in the budget, I’d pick up a few boxes of X-Tiles right up front, along with all the add-ons (check out the Weiss Tech Hockey Package XHockeyProducts has put together). It’s a fantastic training system that is unlike anything else out there. However, the beautiful thing is that you ARE working with a budget, you can just as easily start basic and then keep adding to it piece by piece as you have the funds.